360 video content (also known as Virtual Reality video) offers a great entry point for those wishing to create immersive experiences within a VR environment. 360 video already plays an effective role in industries including marketing, tourism and events, and is proving effective for training, HR and property visualisation. The process involves filming with multiple cameras and then using post-production software to combine those viewpoints into a single image that wraps around the viewer's perspective. The end product can then be delivered for VR and/or online use. 360 content can be monoscopic (i.e. one image) or stereoscopic (two slightly different images). Stereo content has the advantage of providing an increased sense of depth and immersion. At RealityLab: London we think that 360 video offers an extremely powerful way of connecting with an audience at both a personal level (e.g. for live events) and at scale via social media platforms like Facebook and content platforms such as YouTube. We've created 360 video for several high-profile clients, including Vodafone, Ubisoft, and Marriot International. We created 360 film to illustrate Vodafone's customer services technologies. 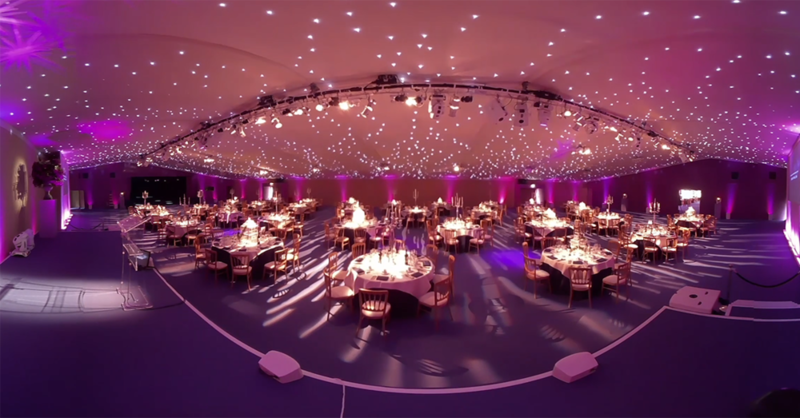 We created 360 video to show Concerto Group's locations. We produced a drone racing video with Ubisoft to promote Watchdogs 2. Contact us to discuss your 360 video production requirements, to see more case studies and examples, or to find out more about how we could help your business.